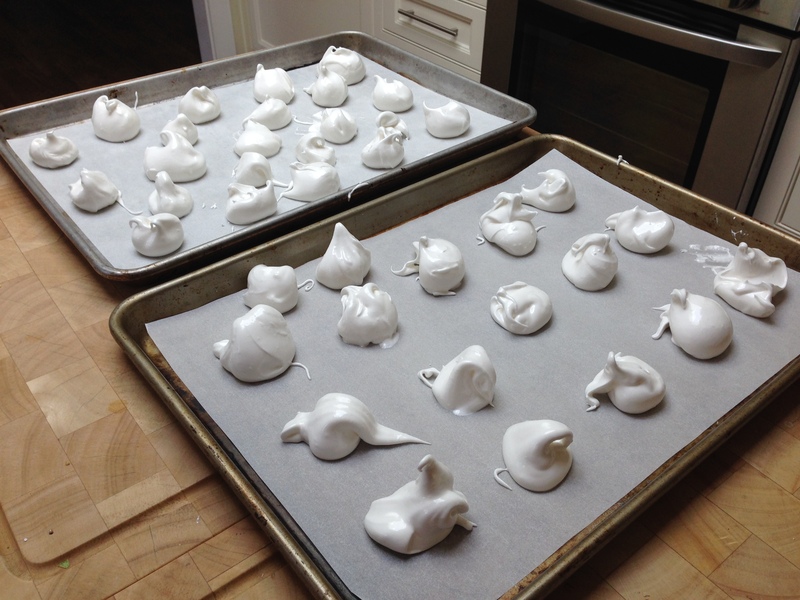 Make the meringues: Use the Italian Meringue recipe by Tyler Florence on http://www.foodnetwork.com. Follow instructions, but bake for only 1 hour. They will be slightly undercooked and chewy. Make the custard: Heat the cream until it begins to bubble, watching closely so the cream does not boil. Cool. In a large heatproof bowl, beat the yolks and sugar at medium speed until thick and creamy. Beat the cooled cream very slowly into the eggs to warm the mixture gradually. Put the bowl over a pan of simmering water and stir with a wooden spoon until the custard just coats the back of the spoon. Remove the bowl from the pan, add the salt and let it cool. Refrigerate overnight until the mixture is completely cooled. 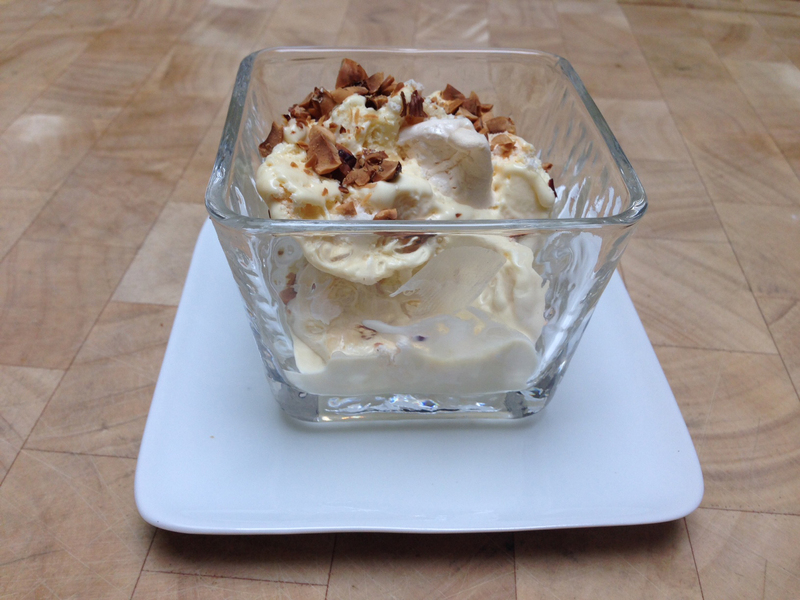 Mix ½ cup of the broken meringues into the mixture and freeze according to ice cream maker’s instructions. 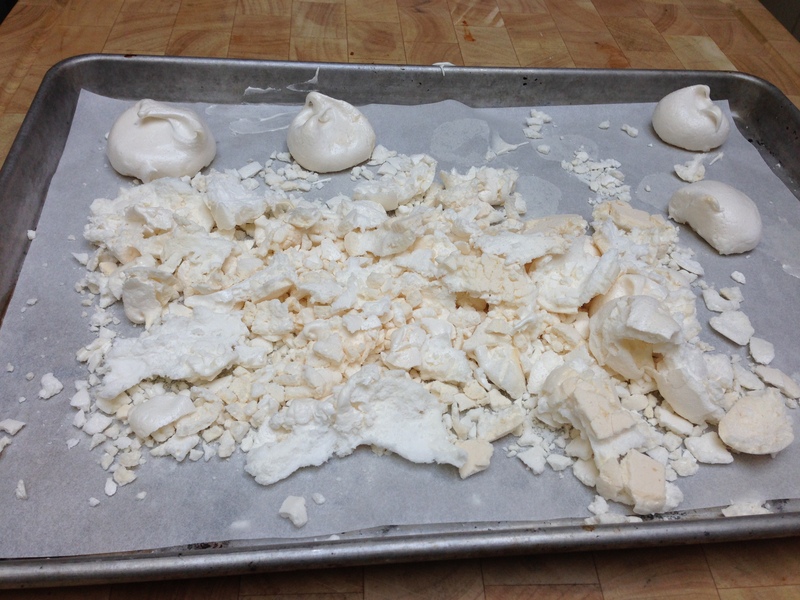 Scoop into an airtight freezer container and layering with 1 cup broken pieces of the softer meringue. You will have some meringues left over (if you’ve managed not to eat them). Freeze at least 6 hours. Garnish with chopped hazelnuts and serve!